Aware that a single crisis event can devastate their business, managers must be prepared for the worst from an expansive array of threats. 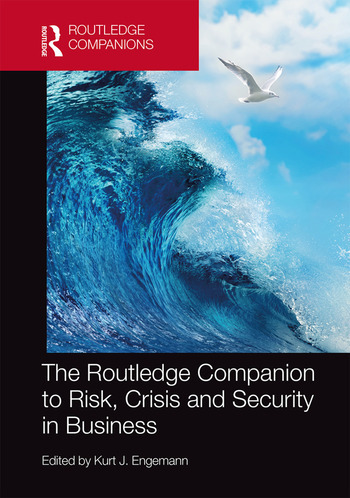 The Routledge Companion to Risk, Crisis and Security in Business comprises a professional and scholarly collection of work in this critical field. Risks come in many varieties, and there is a growing concern for organizations to respond to the challenge. Businesses can be severely impacted by natural and man-made disasters including: floods, earthquakes, tsunami, environmental threats, terrorism, supply chain risks, pandemics, and white-collar crime. An organization’s resilience is dependent not only on their own system security and infrastructure, but also on the wider infrastructure providing health and safety, utilities, transportation, and communication. Developments in risk security and management knowledge offer a path towards resilience and recovery through effective leadership in crisis situations. The growing body of knowledge in research and methodologies is a basis for decisions to safeguard people and assets, and to ensure the survivability of an organization from a crisis. Not only can businesses become more secure through risk management, but an effective program can also facilitate innovation and afford new opportunities. With chapters written by an international selection of leading experts, this book fills a crucial gap in our current knowledge of risk, crisis and security in business by exploring a broad spectrum of topics in the field. Edited by a globally-recognized expert on risk, this book is a vital reference for researchers, professionals and students with an interest in current scholarship in this expanding discipline. Kurt J. Engemann, PhD, is Professor of Information Systems and Director of the Center for Business Continuity and Risk Management, Iona College, USA.